When Ashish Kashyap decided to launch his second venture recently, he was already a well-known name in India’s startup landscape. 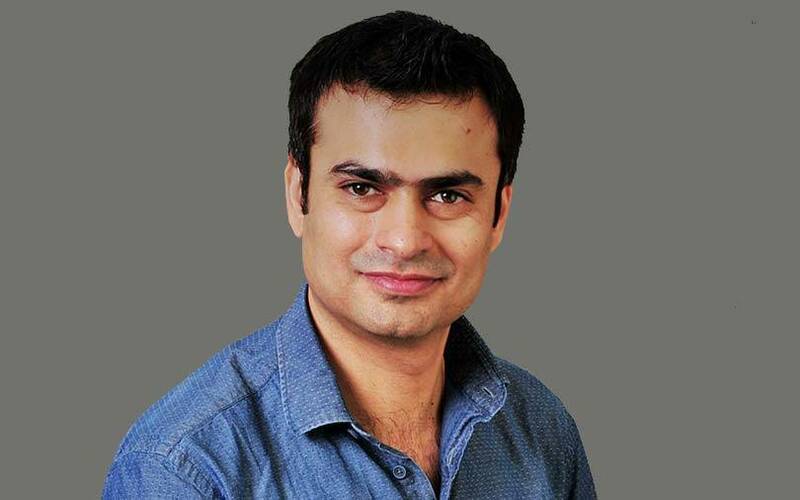 He had founded the ibibo Group in January 2007, which at that time was run as an incubator. Companies like the online travel agency Goibibo, payments firm PayU and auto portal Gaadi.com among others were part of the incubator. Even at that time, Kashyap easily found an investor. In the same month that he set up his venture, South African internet conglomerate Naspers invested in the ibibo Group, and the following year, in 2008, China’s Tencent Holdings also put in money. Since then, Kashyap, who was also once the country head of Google India, has come a long way. In October 2016, the ibibo Group merged with online travel services provider MakeMyTrip, in the biggest consolidation move in the online travel agency segment in India. Kashyap, who was appointed co-founder and president of the merged entity, resigned from the firm in September last year. Not wanting to lose momentum, the founder wasted little time finding an investor and setting up a team for his new venture. After taking on the travel industry, the next problem he wanted to tackle was the lack of transparency in India’s wealth management sector. Like with Naspers, Kashyap easily managed to sign up an investor this time too. In October this year, Steadview Capital, a Hong Kong-based hedge fund, invested $30 million (around Rs 219 crore then) in yet-to-be-launched fin-tech startup INDwealth. “I have known Steadview Capital’s Ravi Mehta and his team for several years. I spent time with Ravi and his team brainstorming about this space, gaps, problem areas and opportunity,” he explained. INDwealth will commence operations in January 2019. With an investor in place, Kashyap next focused on bringing his team together. “How you get your team together is very important,” he said. In June this year, Kashyap brought on board Pratiksha Dake as INDwealth's chief product officer. He previously worked with her at Goibibo. He also roped in Varun Bhatia and Amrita Sirohia as co-founders as he felt they believe in the vision and opportunity of the new entity. Bhatia, a software professional, had worked with the ibibo Group between 2008 and 2010, while Sirohia had a 13-year stint with British multinational bank HSBC. Run by Gurugram-based Finzoom Investment Advisors Pvt. Ltd, INDwealth is a financial advisory platform that will use artificial intelligence and machine learning to allow users to manage their investments, liabilities, future cash flows and taxation. “The biggest problem that I have faced in the current wealth management industry is lack of transparency and also the absence of use of sophisticated technology. A lot of work in the current industry is still done on excel sheets with shallow reporting. This problem cannot be solved with excel sheets. Furthermore, there is no one-stop shop for all my personal finance needs,” Kashyap said. According to him, INDwealth will create transparency by making data open and available to its users. They can access information such as costs, tax performance, post-tax returns, tax harvesting strategies and more. Users can aggregate their past investments across asset classes, liabilities and tax — all in a single app. The startup’s AI engine will help them create their future goals which will further recommend actions to meet their future cash flow targets, he explained. “I have been mis-sold investment products numerous times only to realise much later the huge compounding expenses being incurred by me,” he added. The company is also in the process of building a team of certified finance counsellors across India that will be dedicated to each user family. The startup will offer its services on the web and as an Android and iOS app. For Kashyap, starting up again is like falling out of love overnight and falling for something new. “Also, you want to create a larger impact the second time,” he explained. But for now, his mission is to democratise finance and make wealth management accessible to all.